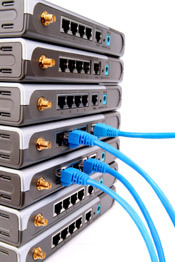 Silloway Networks provides services to support the Information Technology needs of local businesses. Technology Assessment - The Technology Assessment will quickly baseline your company's Information Technology status and compare to industry-accepted Best Practices. This assessment will provide a look at where your IT investment dollars are going currently and, perhaps, where they should be, relative to your business objectives. The assessment also uncovers areas of concern which provides you an opportunity to review if your business is at risk for down time due to hardware failure, software issues, or problems stemming from ineffective security measures. Security Assessment - The Security Assessment will help you to understand your current security posture. Using a 5 step process we help you draw a security perimeter, understand threats, discover your current status, analyze risks and finally make recommendations to improve security and help you on the road to compliance. System Design – A good design is critical for a network that supports a business. We will work with you to understand what you want to achieve, and mutually agree on a documented project plan. We create resilient, scalable designs that are flexible enough to adapt as your business grows and changes. System Implementation – A successful system implementation will integrate the solution in line with the system design while also minimizing any disruption to business operations. Server Monitoring – Automatic Daily Health Checks and 24X7 Instant Alert Support for the critical servers in your business helps to ensure that your systems have maximum uptime. The in-depth checks and advanced reporting capabilities allows for rapid response to issues before they become major problems. System Administration – Installing upgrades, moving computers, and providing emergency service are parts of supporting the technology in a business. We will provide the services that you need to keep your systems running right and to maximize your technology investment.